The Cardiff ArtsMark provides a benchmark for arts provision, encouraging schools to consider the arts opportunities they have to offer. By gaining an Arts Mark, a school demonstrates its commitment to the wider development of young people and teachers, and to raising the profile of the arts within the school and the local community. Rhydypenau was awarded the Gold Arts Mark in October 2010. 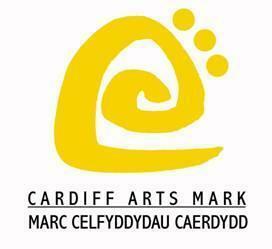 The Cardiff Arts Mark recognises, celebrates and accredits the achievements of our school as one which values the arts and prioritises this work within the curriculum. This is amply demonstrated, both during the annual celebration of the arts both during Arts Week and in the Annual Evening of Performing Arts. Pupils regularly have opportunities to perform in prestigious venues across the city, including the Gate Arts Centre, St Davids Hall, The Sherman Theatre and Cardiff City Hall.